A panoramic video of a Topol-M ICBM test launch shot from a distance of about 50 meters from the mobile launcher was released by the TV network of the Russian Armed Forces. 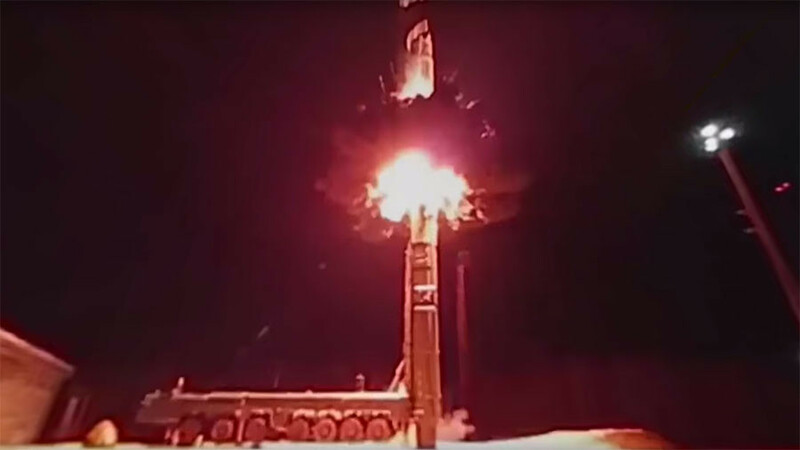 The nighttime video, with some CGI added to provide specifications of the nuclear-capable missile and highlight the launch platform, was published on Tuesday by Zvezda TV. The footage was taken in October at the Plesetsk Cosmodrome, according to Rossiyskaya Gazeta. The Topol-M (RT-2PM2) is a current land-based vehicle deployed by Russia’s Strategic Missile Forces, launched either from a silo or from a mobile launcher. The Russian Defense Ministry is in the process of replacing them with the more advanced Yars missiles.